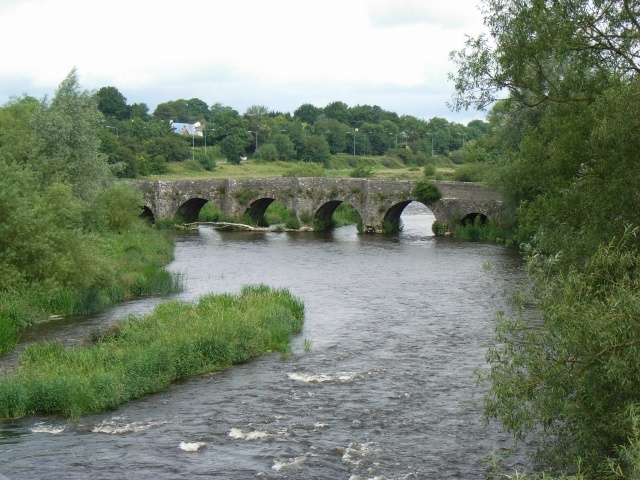 Located on the Boyne 2km upstream from Navan, this bridge originally dates from around 1600. It was on the main road from Navan to Dublin until 1977, when a new bridge was constructed (from which this photo was taken). There have been many "Save Kilcarn Bridge" campaigns over the years and, judging from the state of the central cutwaters, it looks like another would be in order pretty soon. Incidentally, Kilcarn is also sometimes spelt "Kilcarne" or "Kilcairn". This page has been viewed about 1899 times.